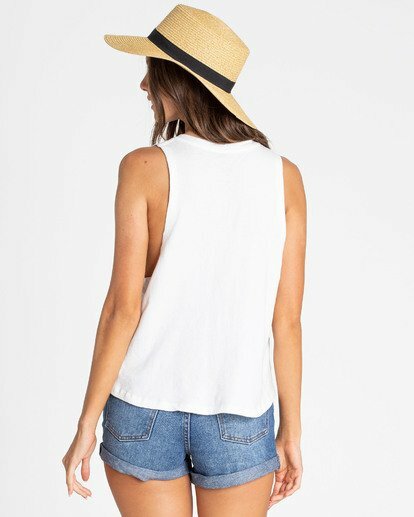 For a good time, call on this coastal muscle tee. The women’s sleeveless graphic t-shirt features a “Good Times & Coastlines” print at the front, a V slit at the neckline and soft cotton jersey construction. “Good Times” print at chest.